Lisa guides people and organizations to experience their essential nature and to be better equipped to handle change, relationships, the past and the future. And most of all, to come to know the present moment. What we need in these volatile times are people who remember their essential nature, who are willing to nurture their inner lives so they can bring meaning, beauty, and love to the world. 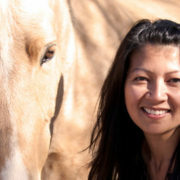 Trained as a coach and master equus facilitator, Lisa also has 16 years experience in innovation planning and branding for Fortune 500 companies and Internet startups. She holds a BA from Dartmouth College and a MA from Parsons School of Design.